25mm x 25m Only £4.95 Per Roll!!! 3M Dual Lock re-closable Mushroom Fastener is a fantastic product ideal for heavy duty situations. We stock the FULL RANGE and will BEAT THE PRICE YOU PAY! Simply Call Us on 01268 768 768 Now. Hook and loop fastener, do you know what it is commonly called? It begins with “V”. Probably, you have come across this item somewhere in your life. The name hook and loop might be very new to many people but what you really don’t know is that, hook and loop fastener is one of the most popular fastening systems in the world. You will have used it in one way or another, but you really don’t know where this great item came from or even how it became very popular. Here is some information to help you properly understand everything you need to know about the fantastic and versatile hook and loop fastener. So what is Hook and Loop Fastener? Firstly it is important to know that the word hook and loop simply means a system that contains two components, that is the hook side and the loop side. The hook side just as the name sounds contains some rough fabric with very tiny hooks. The loop side is made of soft fabric with some hairy loops. The hook and loop are two opposing sides and this fact is what makes the whole fastening system work. When these two sides or components are attached to each other the hooks bind to the loop and they remain attached to each other they are separated form each other. This fastening system are easily separated from each other and this creates some distinct sound that is similar to that sound of the touch fastener. The hook and loop fastener was invented back in 1941 by a Swiss electrical engineer by the name George de Mestral. This idea was inspired by Mestral’s hunting where throughout the trip burrs of burdock kept on sticking to his clothing and his dog’s fur. He constantly removed the seeds off of his clothes and his dog’s fur. When he got back to his house, Mestral, like any other scientist had some curiosity about how the seeds could stick to his clothes and his dog’s fur, so he decided to study the science behind the sticking of the seeds. He put the seeds under a microscope and he discovered that the seeds were covered with the very many hooks that could adhere to anything with a loop. His discovery inspired Mestral and he wanted to develop something artificial that would use the same concept. He did a lot of research for nearly a decade and upon development he patented his first hook and loop fastener in 1955. After he patented his invention, Mestral established branches of his company in many other countries and still obtained patents in those countries. He was very hopeful that he would get a lot of demand for his hook and loop fasteners, but due to the cheap fabric that was used to make them during those times the demand really took time to grow. This fabric could not be used sewn into clothing. However, after sometime things started changing after the hook and loop fasteners’ fabric was used in the aerospace industry by astronauts. In 1978, Mestral’s patent expired which prompted a massive flow of manufactures who made low-cost imitations. By the 1990’s uses for hook & loop had increased massively. Hook and loop material could be used in various sports, clothing, furniture, curtains, shoes, exhibition and display, aerospace, straps, cable management, print finishing and printers, cable ties as well as luggage. There were very many applications that made hook and loop material a very popular fastener in the world. Immediately when Mestral’s patent expired which lead to many low-cost imitations. Rip n Grip is one of the major brands of hook and loop and includes hook and loop tape, hook and loop cable ties, fasteners and strips, rolls, straps, sew-on, adhesive, sticky, iron on, heat activated, colours, black, white, elasticated, elastic, squares, circles, dots and many more. More often than not people don’t know whether they are using the best hook and loop fastener for the job. The hook and loop fastener has several or multiple variations and types that are made to fit specific requirements or applications. Whenever you are buying any of these products it is always wise to read the whole product description which provides the specific applications for that product. This is the only way to make sure that you are using the right product for a specific purpose. Ask us! We are just a call away and can answer all your questions quickly and give you the best advice based on over 20 years in the industry, call 01268 768 768. Hook loop is actually a broad description of materials and the products. When one uses the term hook loop, they can be referring to a material like the hook tap or loop tape. The hook tape is simply the material that has hooks along its surface. These hooks can be very tough and others can be very soft. The tough ones are regarded as the heavy duty hooks. The loop tape is that material that has tiny loops and are hairy in appearance. The tiny loops are specifically made to be attached to the hooks on the hook tape. Loop materials are usually very available in very many types, in order to choose the right one for your application, you only need to read the specifications and properties. Hook and loop tapes can be purchased separately, or with a hook on one side and loop on the other side which are known as the woven hook and loop tape, mostly it is termed as the back-to-back tape. The sew-on tape is used on fabrics and does not contain adhesive at all, it must be sewn on. The sew-on material is the most common material which used for sewing onto clothing, bags, furniture, curtains, seats, shoes and other materials. This kind of hook and loop tape has a selvage which is simply a finished edge of the fastener which neither has a hook nor a loop. This is very essential since it provides a clean area where the needle can pass through when sewing or stitching. 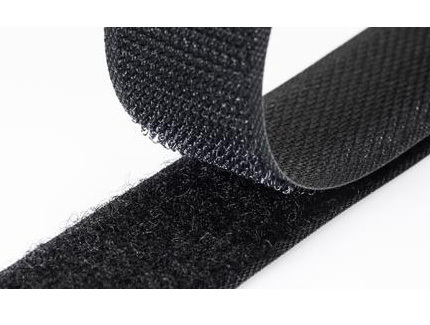 The sew-on hook and loop tape is also used to manufacture the hook and loop straps which are used in a wide range of industries and applications. 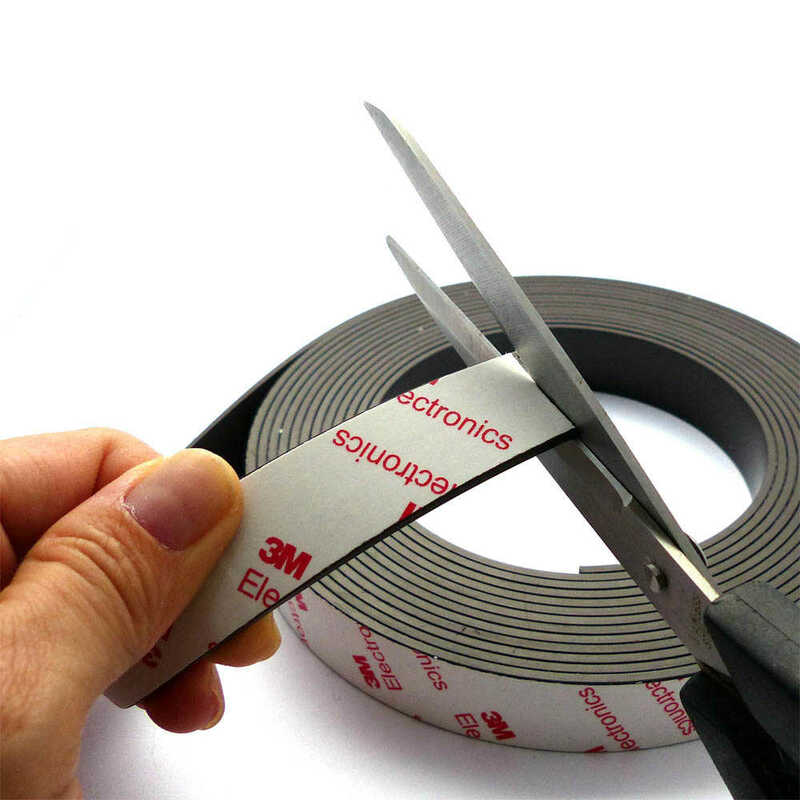 Adhesive backed tape is also known as stick-on or sticky back tape. This kind of a hook and loop tape is made up of a coat that has pressure-sensitive adhesive on the back side. Most of the adhesive backed tapes are protected with a plastic release liner which peels off and exposes the adhesive and then sticking to it to attach the fastening system when using it. Adhesives exist in different kinds such as the rubber and the acrylic-based adhesives that you can choose from. An important thing to note is that adhesive backed hook and loop tapes do not attach to fabrics. Can be supplied on the roll as continuous tape, cut to length, dots, squares and more. Available in widths 12mm, 16mm, 20mm, 25mm, 30mm, 38mm, 50mm, 75mm, 100mm, 125mm, 150mm, 175mm, 200mm normally in lengths of 25m or 25 metres. With Acrylic Adhesive or Hot Melt Adhesive. Heat activated or iron Hook and Loop Tape is an alternative to sew-on tape and is mainly used where there is need for a permanent bond or adherence. When forming this kind of a permanent bond, you need to use some heat such as the heat of a steam iron which makes the adhesive tacky and stick to the surface of the clothing or any other type of fabric. However, the bond is technically not very permanent since, when you subject the adhesive to heat again, it will become tacky and peel off from the clothing, only that this time it can ruin your clothing. This type if hook and loop fastener can be used for almost all application of hook and loop. Therefore, it can be an option when all the other types can’t work for your specific application. The 3m dual lock re-closable fastener tape is used together with a snap-locking system that makes the dual lock hook a strong fastener that can close back by locking into place. The dual lock hook is very powerful which makes a heavy duty hook and loop fastener. We are 3m stockists in the UK and supply the full range of 3M Dual Lock fasteners and the very popular alternative Duotec. 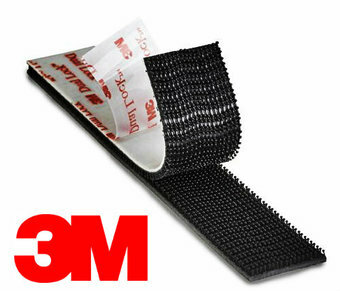 3m dual look tape is usually stronger than the conventional hook and loop. This has Hook one side and Loop the other so it wraps around itself to forma fast strap for securing bundles and cables etc. Hook and loop fastener is an invention that was inspired by nature. The invention of this fastening system has really become part of our integral everyday life due to its variety of applications.